This year, Y.CO unveiled a campaign to reduce the environmental impact of yachting on the ocean. The yacht charter, sales and management company launched #Clearwater, an initiative to combat ocean pollution and educate the wider market on the environmental impact of yachts. The #Clearwater campaign efforts have resulted in a drastic reduction in plastic wastage within Y.CO’s offices, with the team also reaching out and educating the yachts they work with. These changes have been achieved by implementing a number of new procedures, including working with a reusable water bottle company and organising screenings of the documentary ‘A Plastic Ocean’. To gain further understanding about the impact of plastics in the ocean, as well as find a voice to share the #Clearwater message, Y.CO teamed up with ocean advocate Emily Penn, who has spent the last decade travelling the world and educating people on the devastating implications of single-use plastic and garbage in the world’s seas. “I think in the past this has always felt like ‘someone else’s’ problem, but the amazing thing about what Emily Penn has taught us on the issue of ocean plastics is that every single one of us can help towards making a change. #Clearwater needs to be something we think about as an industry, it is not exclusive to Y.CO,” explains Campbell. Speaking about the role of yachting specifically, Campbell believes that this campaign should appeal to those who enjoy living life on the sea, as their passion and livelihood depends on its health. 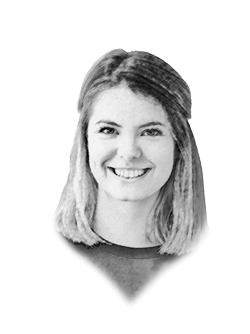 “Yacht crew are typically young people who have grown up on the water and have an intrinsic love of the sea, and they care about the environment,” she adds. It is for this reason that the images shared by Penn, and the shocking footage found within the documentary ‘A Plastic Ocean’, seem to resonate with captains and crew. Y.CO is also attuned to the rise in the charitable efforts of millennials. The popularity of ‘voluntourism’, where travels are combined with volunteer work, means that it is easier to engage with the next generation of crew and owners, and is an encouraging sign for those already in the industry. “For the younger generation, is it suddenly cool to care, and we all need to take a leaf out of their book and get behind issues that matter, especially when it involves our own livelihood and that of the millions of people who rely on the ocean day to day,” says Campbell. Emily Penn and Charlie Birkett, co-founder and CEO of Y.CO, will be delivering a presentation about the #Clearwater campaign at The Superyacht Forum, held from 13 - 16 November. 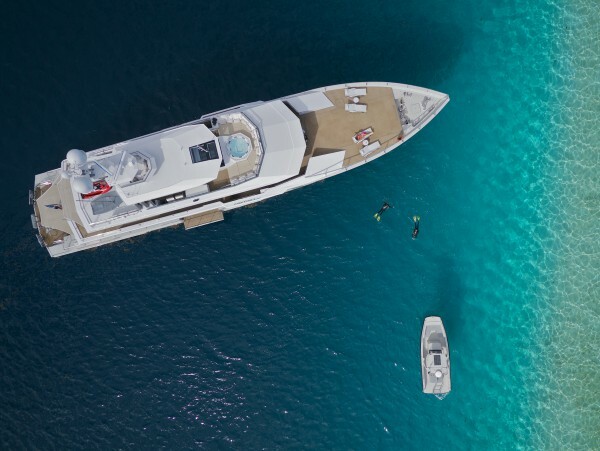 They will also take part in a panel discussion with other conservationists and superyacht ambassadors entitled ‘Taking ownership of our oceans’. To learn more about The Superyacht Forum and to secure your place, click here.